As an aside, I’d already come across a BASIC version of Colossal Cave on one of the pre-made disk images I’d downloaded from the internet. 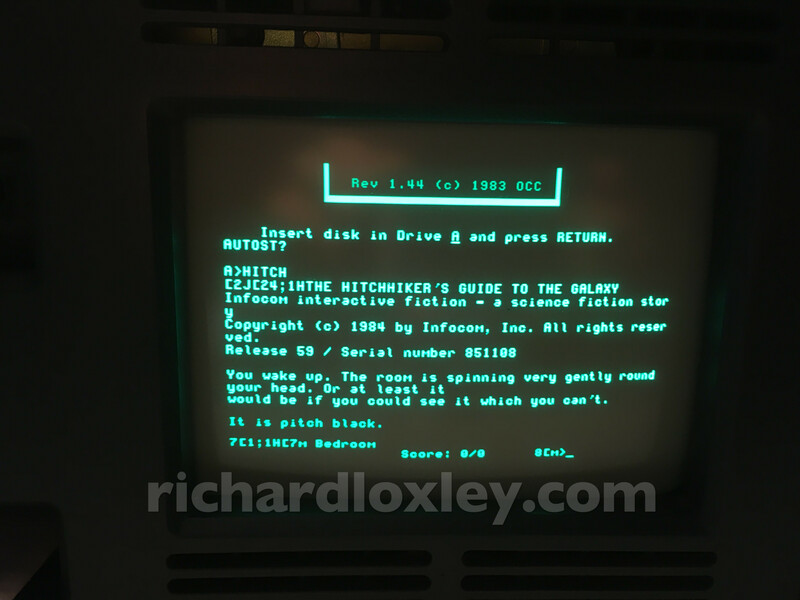 But I really wanted to get the Hitchhiker’s game running. Well, it works, sort of. 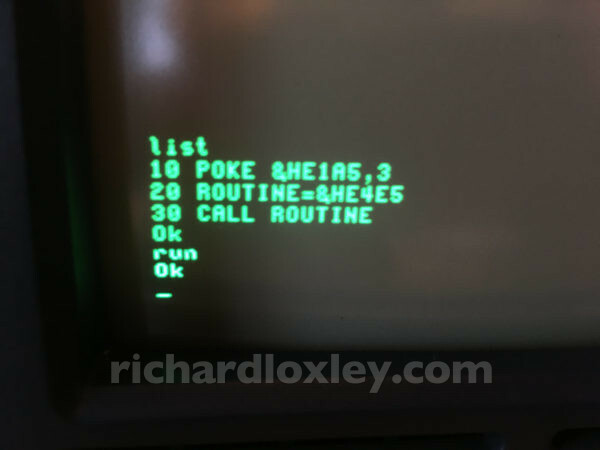 There are loads of random characters, presumably control codes to manipulate screen layout that are designed for a different terminal type than the Osborne. 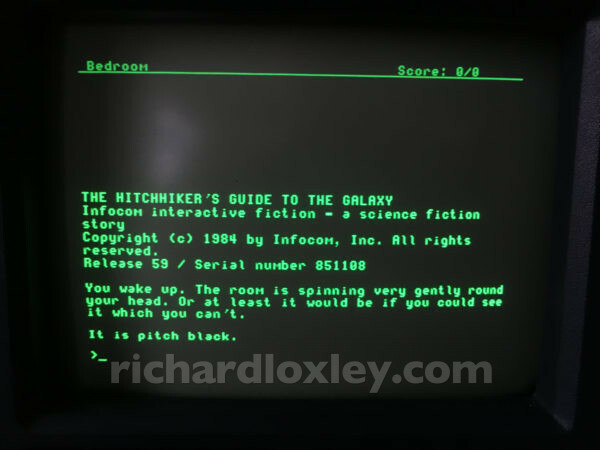 Researching the subject, I found this 22-year old thread discussing Infocom game interpreters! 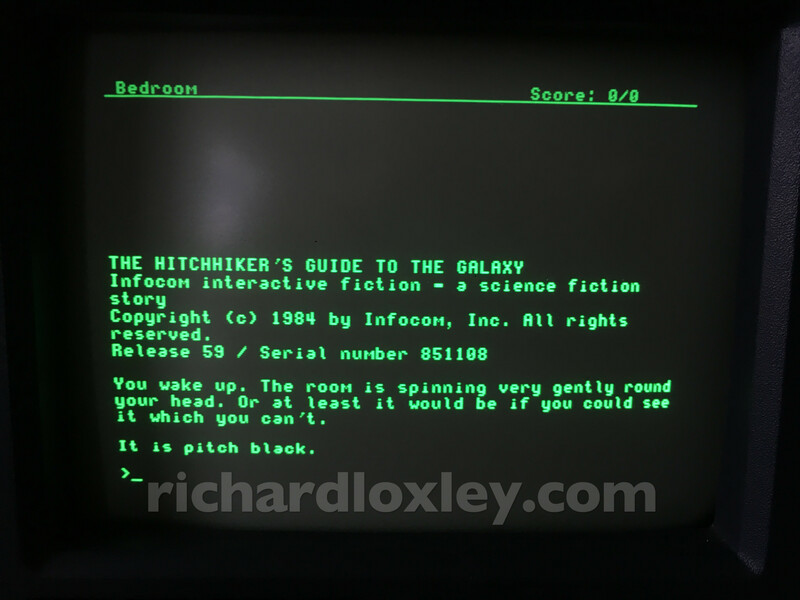 It seems all Infocom adventures use the same interpreter, with a separate data file for each game. 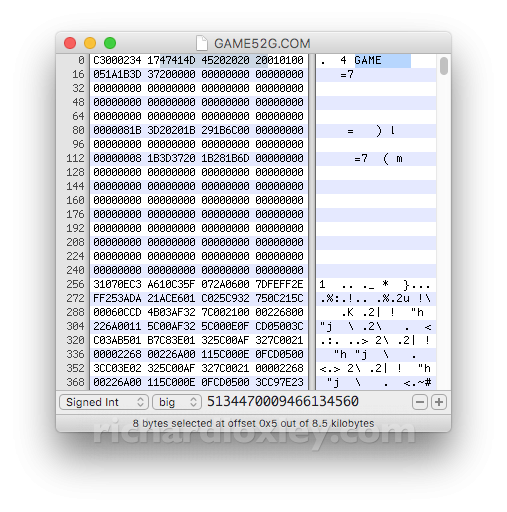 The only difference is the name of the data file is embedded in the binary, so you have to patch the binary to point to your game file. I found another generic CPM version of Zork 1 at retroarchive.org, so tried the interpreter from that. That worked much better (no random characters) but the score/status line no longer appears, and also the text wraps at 63 columns, so didn’t fit into the Osborne’s 52 columns. I could force the Osborne to wrap at 52 columns, but that leaves loads of partial lines, which is very ugly. Next I tried to patch the binary further. The blog post suggested some character strings for the Osborne, which I tried. 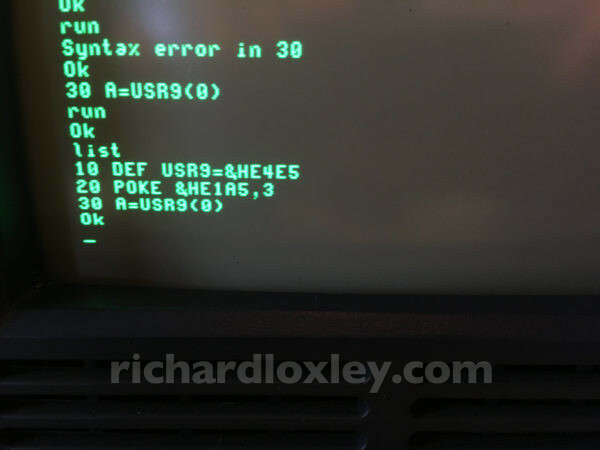 However some (such as characters for reverse video) don’t actually work on the Osborne. 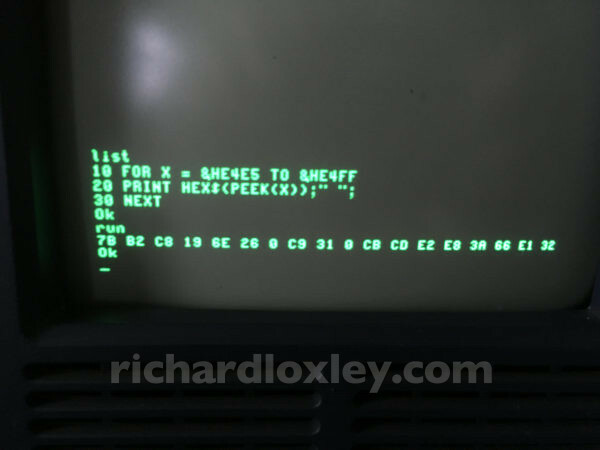 Apparently it’s based on the TeleVideo 920C standard, although codes other than those listed above don’t seem to work. 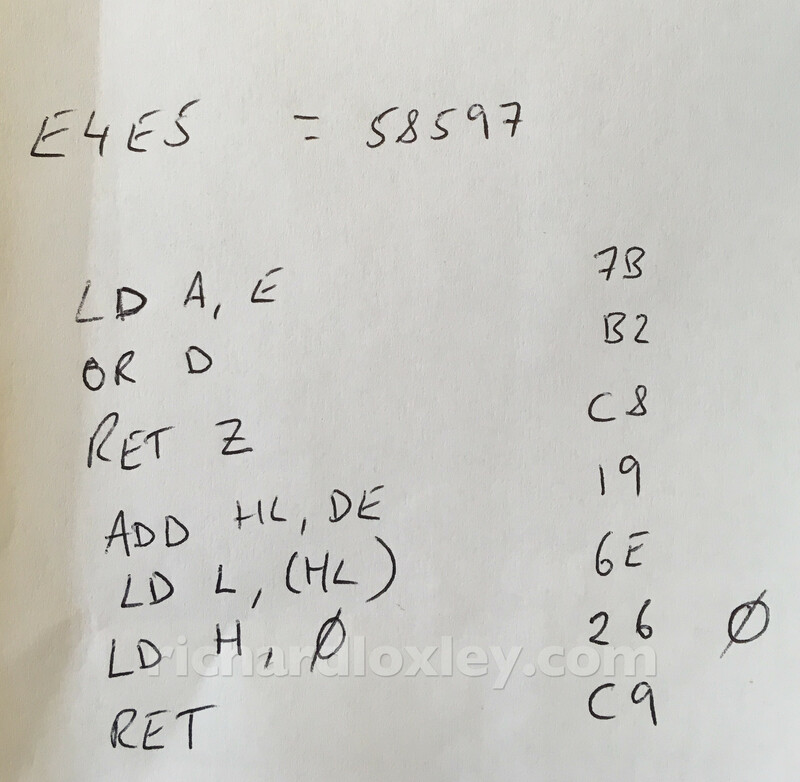 The x/y coordinate codes initially seem a bit weird, requiring a 32 offset from the actual position. But it makes sense, as starting counting from 32 means the x and y encodings are always visible ASCII characters rather than control codes themselves! 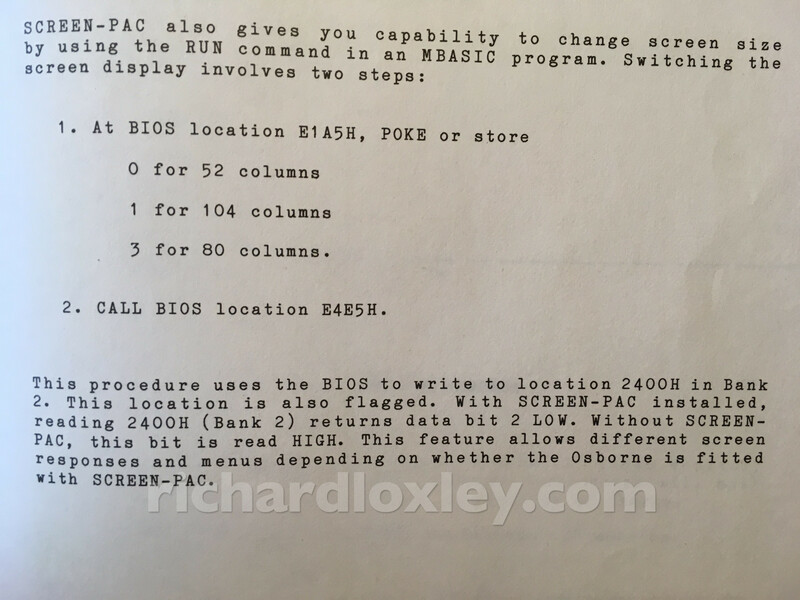 I also patched in a game file name of simply “GAME”, so I could use it for multiple Infocom games without further patching (by renaming HITCHHIK.DAT etc to GAME.DAT). Finally I created 6 different versions, for the 3 different Osborne screen widths (52, 80, 104), and either generic CPM character encoding or with the Osborne control code characters. The different widths would allow me to use the wider version on the external monitor. The CPM boot disk I have tries to load a file AUTOST.COM after it boots, so it’s possible to just rename one of those files to AUTOST.COM to have it start automatically. Here’s a zip file with these files. Finally I achieved my ultimate goal! As a final task, I wanted to add a menu to select between the different screen widths (and change the Osborne screen resolution accordingly). So far the only way I’d found to change the resolution is to use the SETUP utility to change which mode a specific disk boots up in. 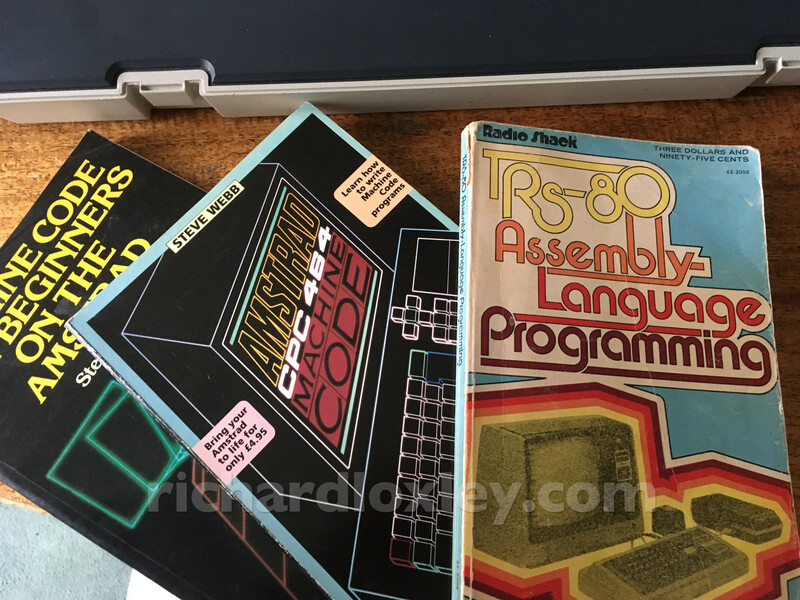 I always used to assemble code this way (and using these very books). Disassembling was harder though as the opcodes in the book are in alphabetical order not numerical order! 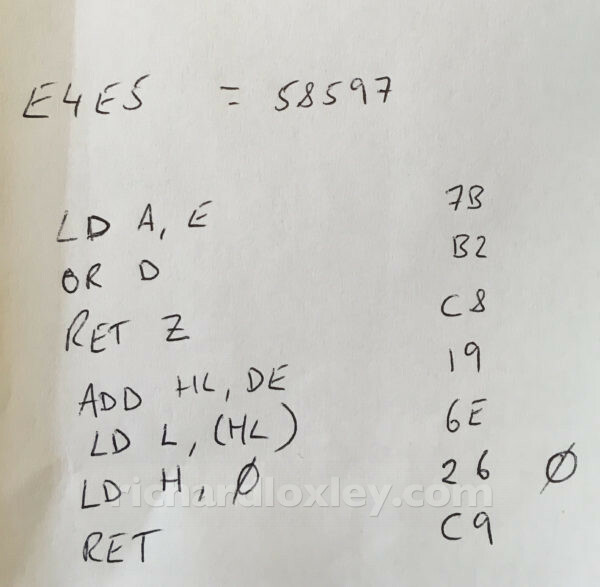 The manual states that this routine should look in &E1A5 and use the value to change the screen resolution. But it’s clearly doing nothing of the sort. 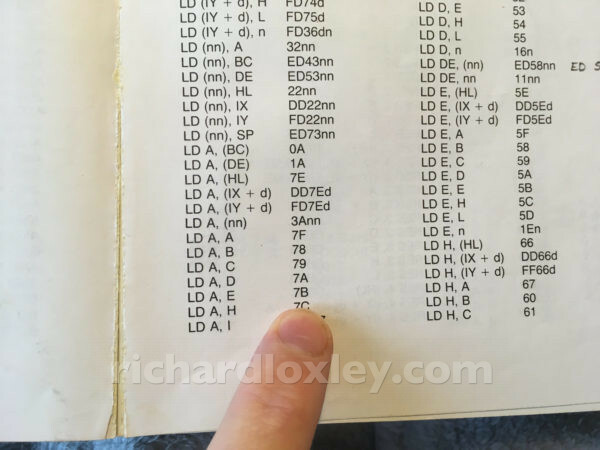 It seems to be checking DE is non-zero, then adding DE to HL, using the result as an address and dereferencing the single byte at that address, then returning that value in HL. So nothing to do with the screen hardware. Hmmph. Oh well. Maybe I’ll try again another day. But I’m not going to let it detract from the main event. Pretty sure you are about to be eaten by a grue. Great job on the RetroChallenge! I read several of the early posts, and since you are on #17, I think I missed a few, but clearly you got it working and then some.